Come learn more about adoption, foster care, orphan care, and the role that YOU can play in caring for children! The Adoptive & Foster Parent Association of Georgia presents their annual education seminar, this year to be held at the Jekyll Island Convention Center. Visit this link to register and for more information! 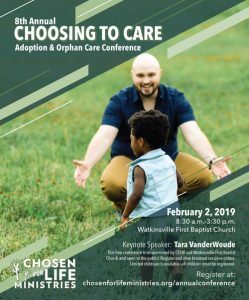 Hosted by Chosen For Life Ministries, All God’s Children, and Nightlight Christian Adoptions, this conference broadcast will focus on Trust-Based Relational Intervention (TBRI) and seeks to teach how we can better serve children impacted by foster care and adoption. Click the image above for more information. Registration for the Watkinsville simulcast coming soon! The information you obtain through this site should not be construed as legal advice. You should consult an attorney directly for advice regarding your individual situation. 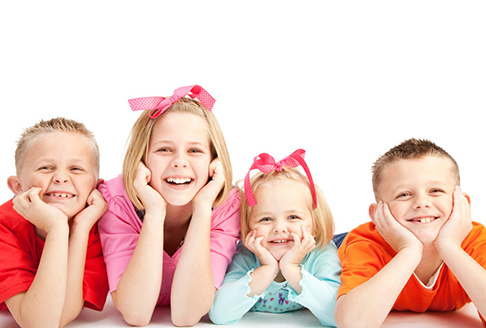 We would love to assist you on your adoption journey and we welcome your calls and/or emails.